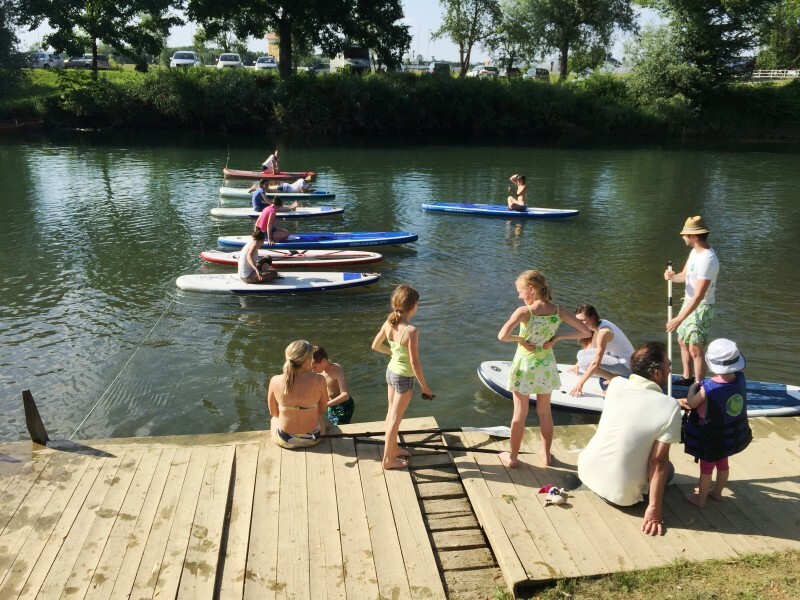 Thank you all who came and made our day even better! 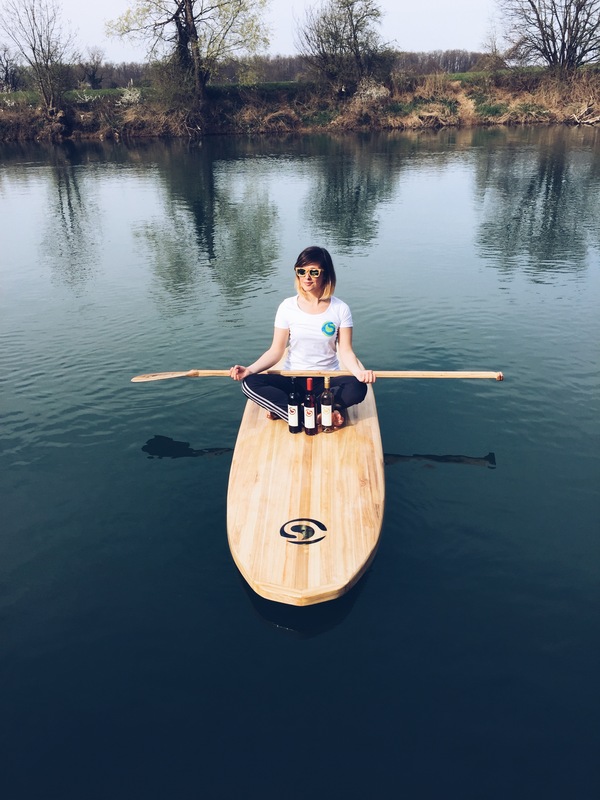 Young talented graphic designer Katja Jenič who is responsible that the Landestrost label has a style. 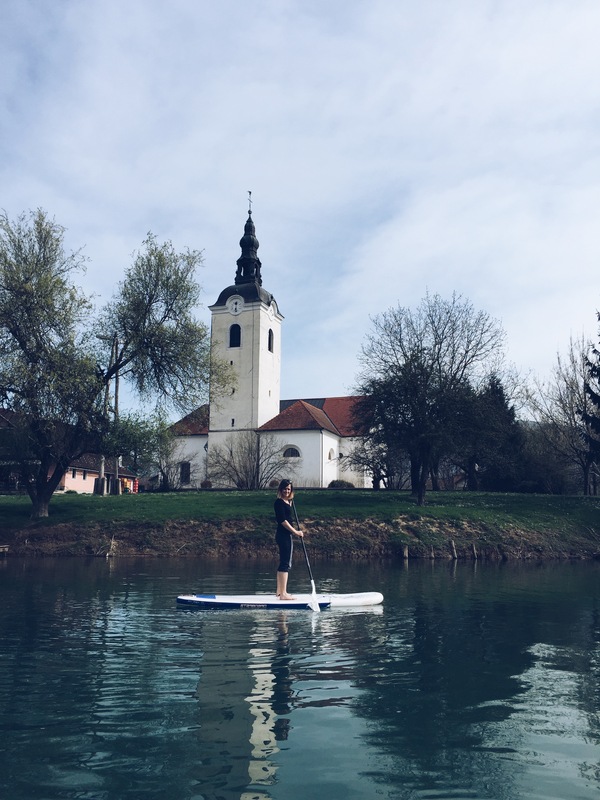 Sunny sunday was more than appropriate to visited Kostanjevica na Krki for a opening season paddle run. 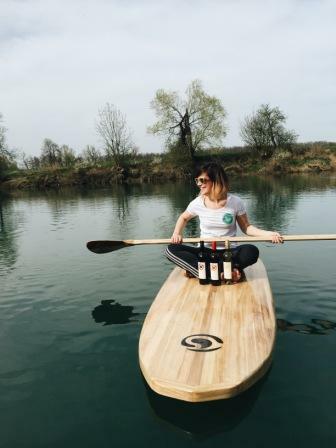 She was amazed by the wooden SUP, which best connects you with the nature. 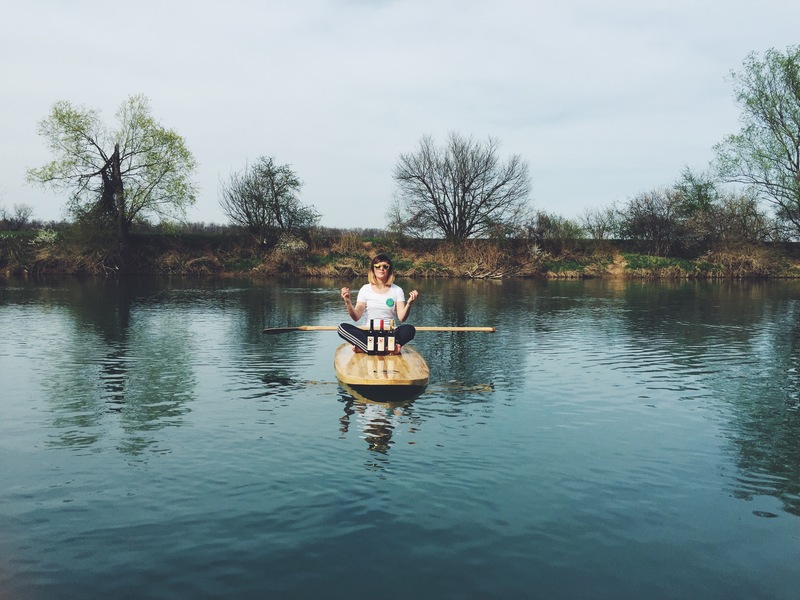 Coming back soon is not a question. 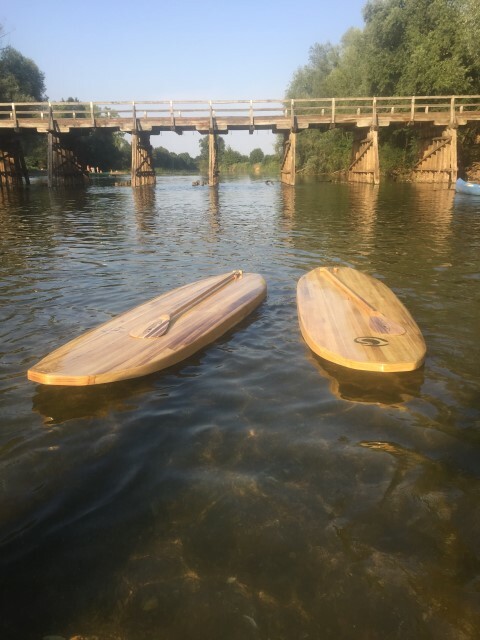 Wooden SUP is here! 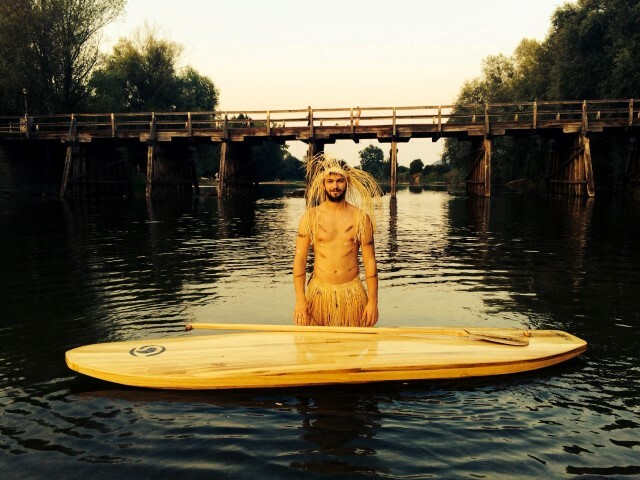 Project leader Primož Rychly is remarkable example how you can make unique wooden paddle board. 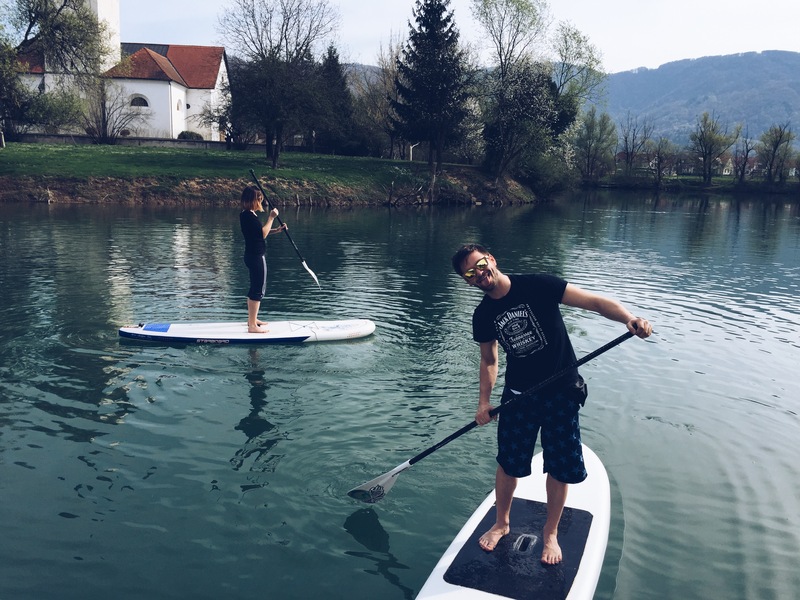 Paddle board is hand made an has 80 cm of widht, 308 cm of lenght and weights only 15 kg. 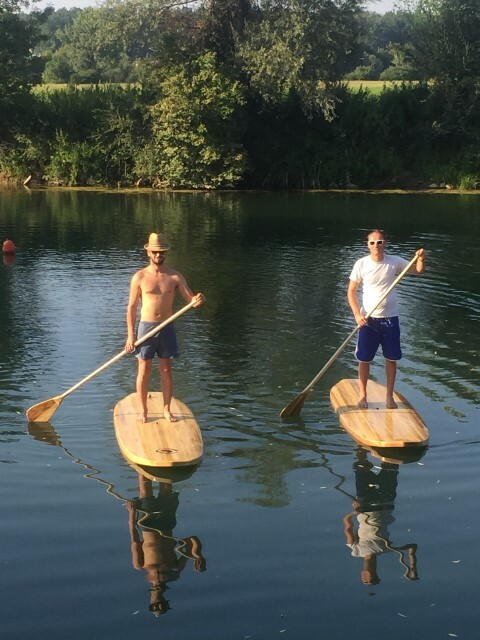 Paddle is also wooden and a little wider to give you natural feeling that sends you back to prehistoric time. 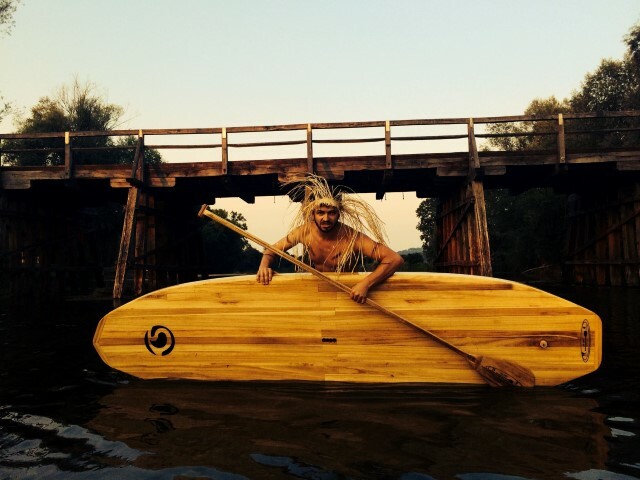 indigenous man of Kostanjevica na Krki is very pleased to recive board in his service. 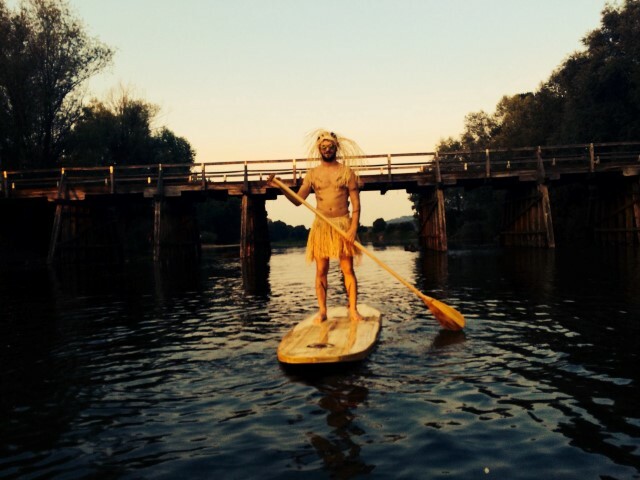 He promised he will take care of it and is looking foward to paddle board with it. 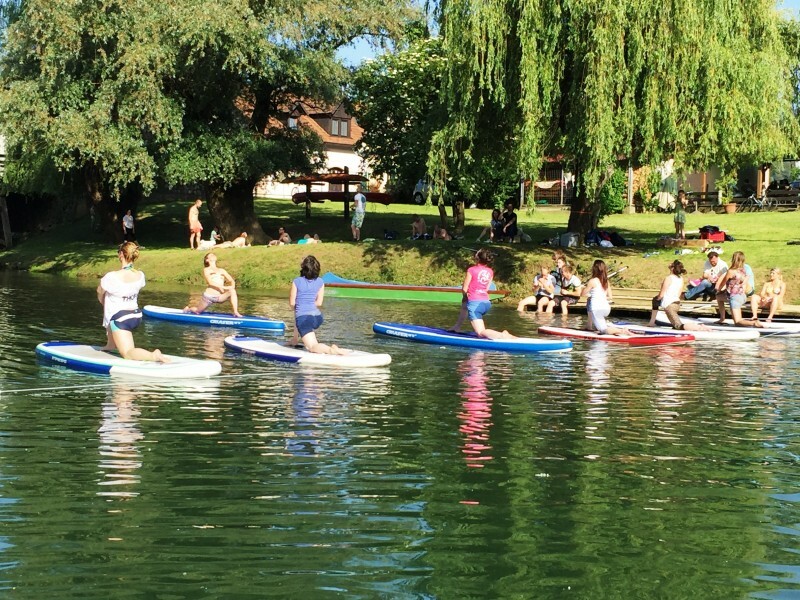 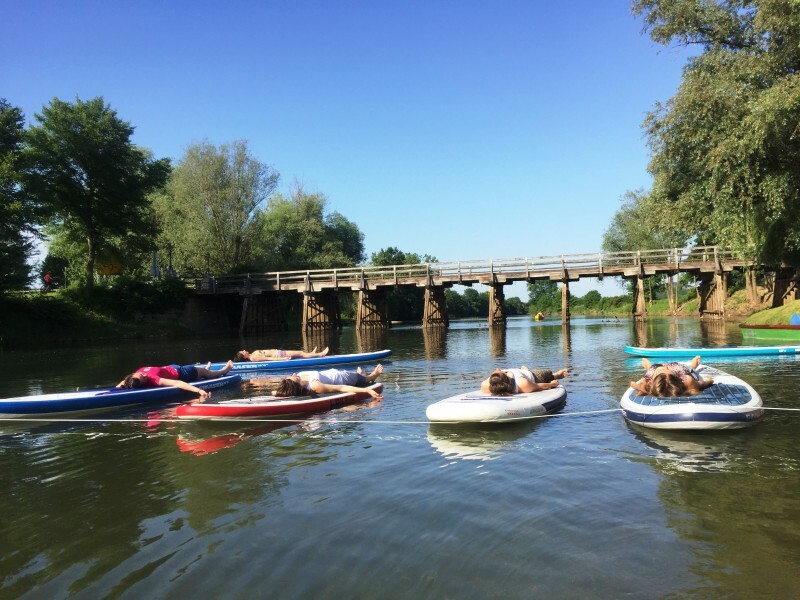 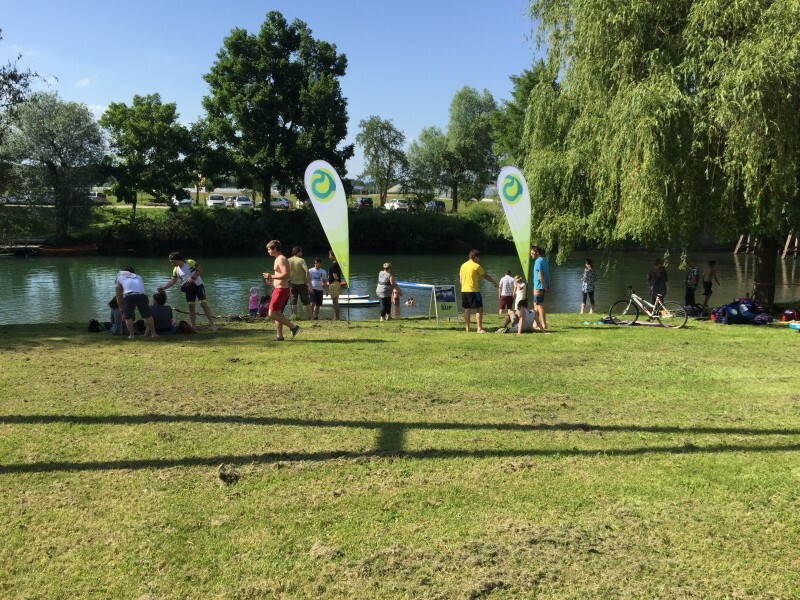 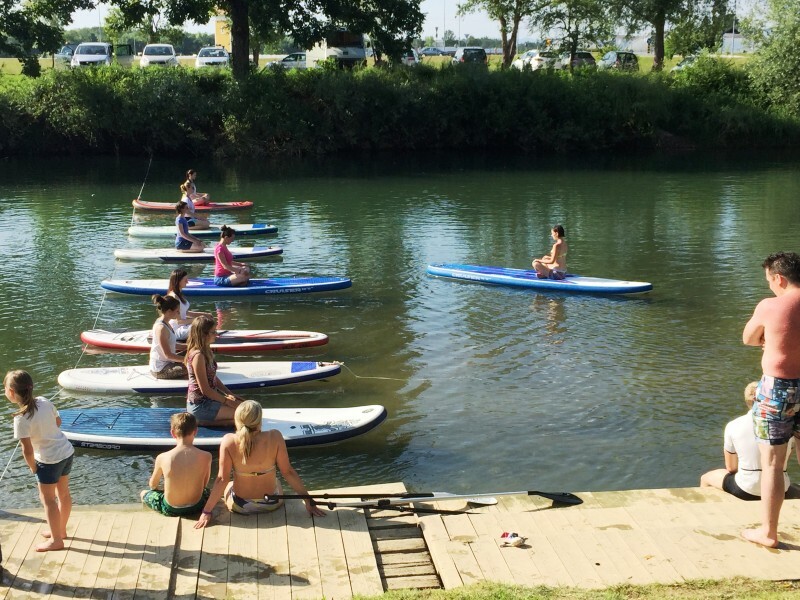 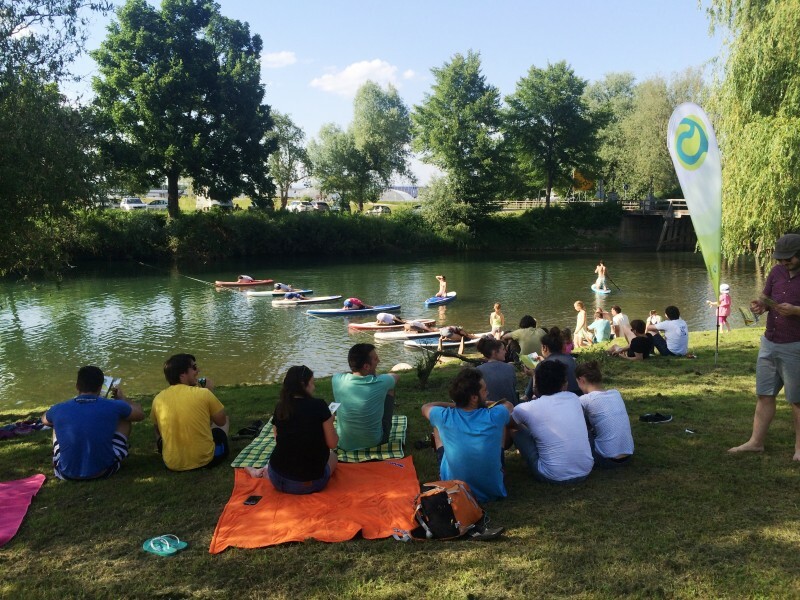 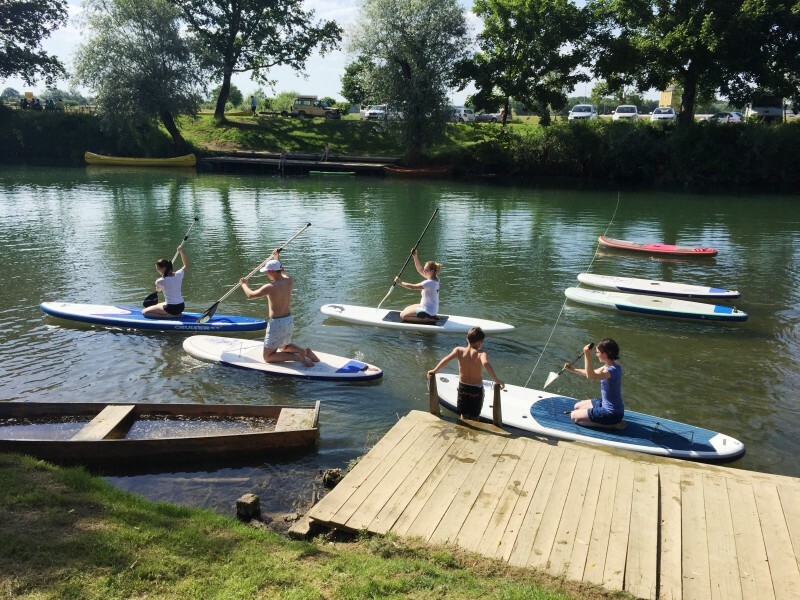 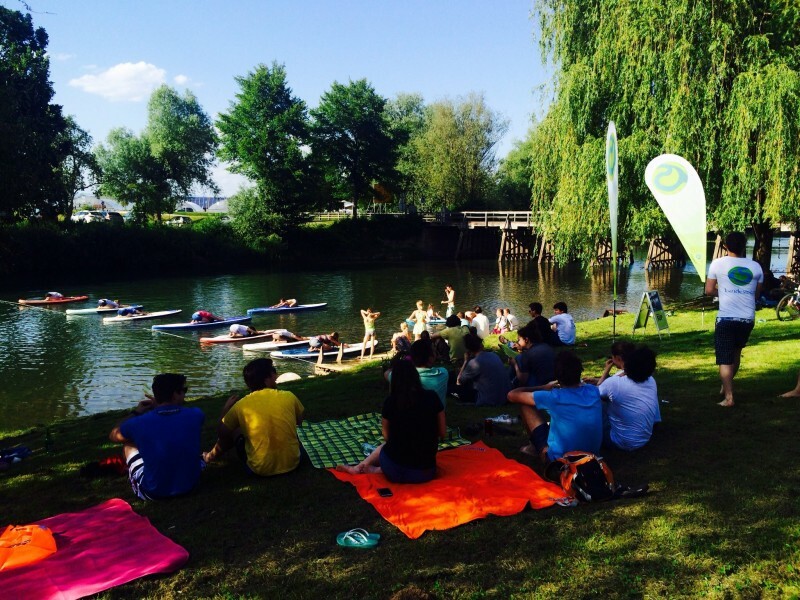 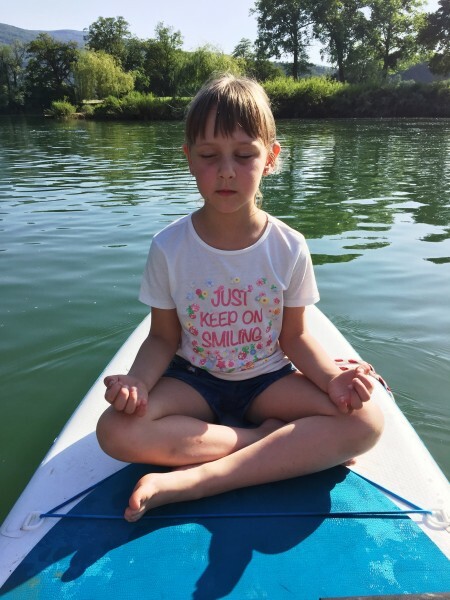 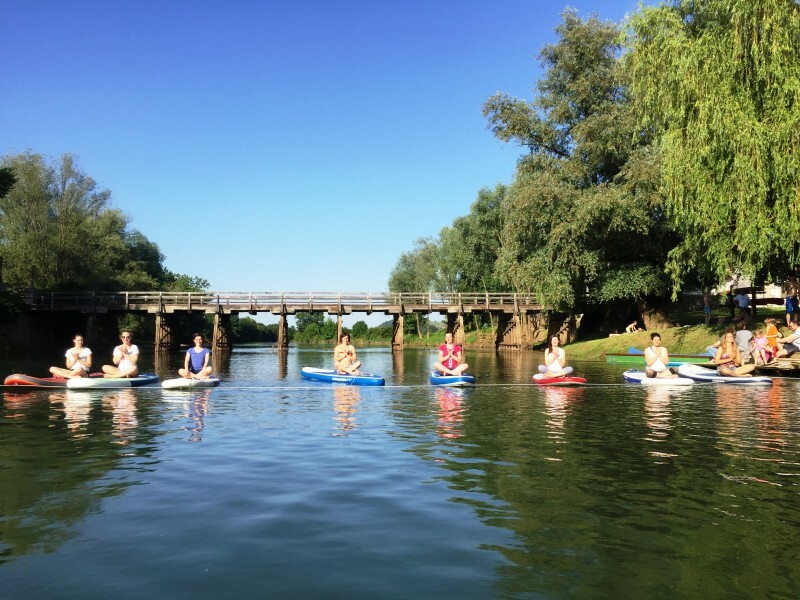 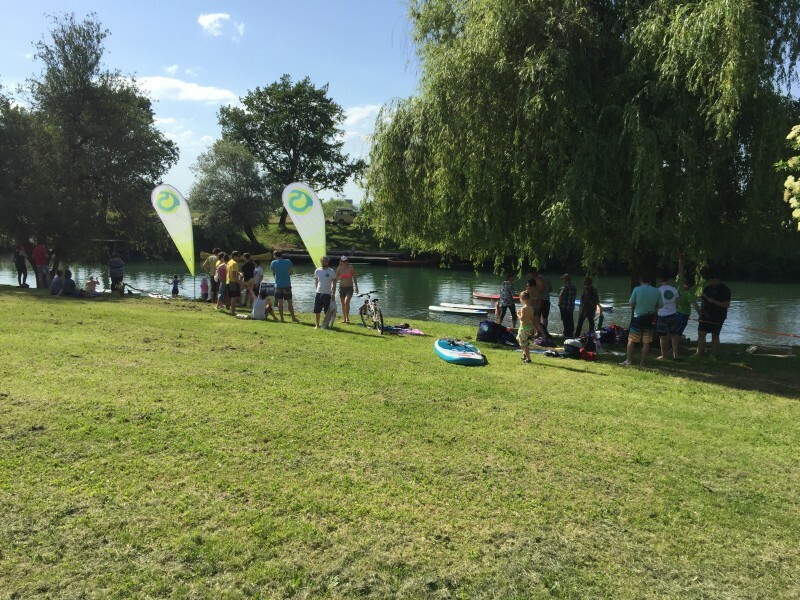 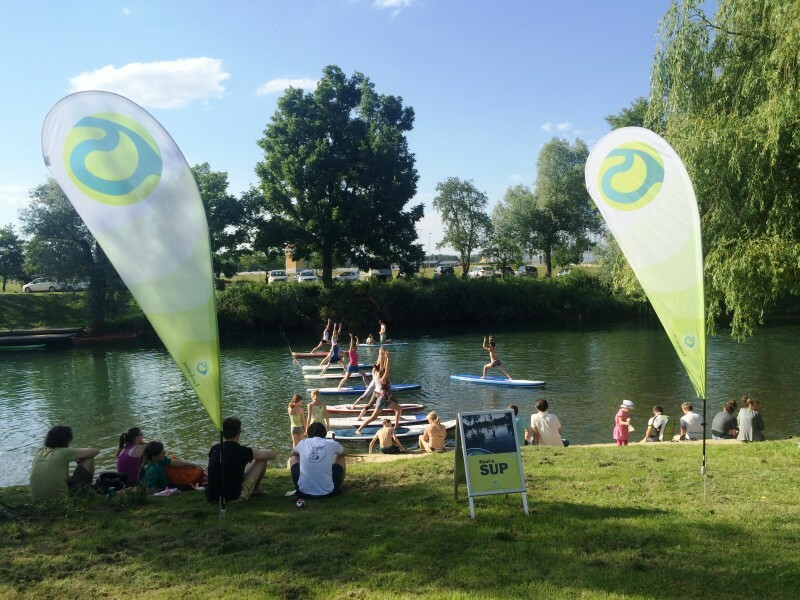 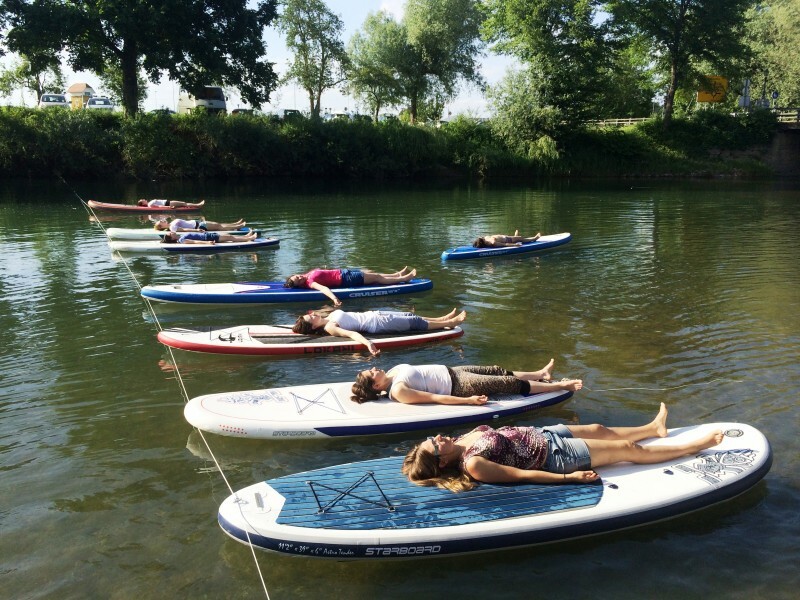 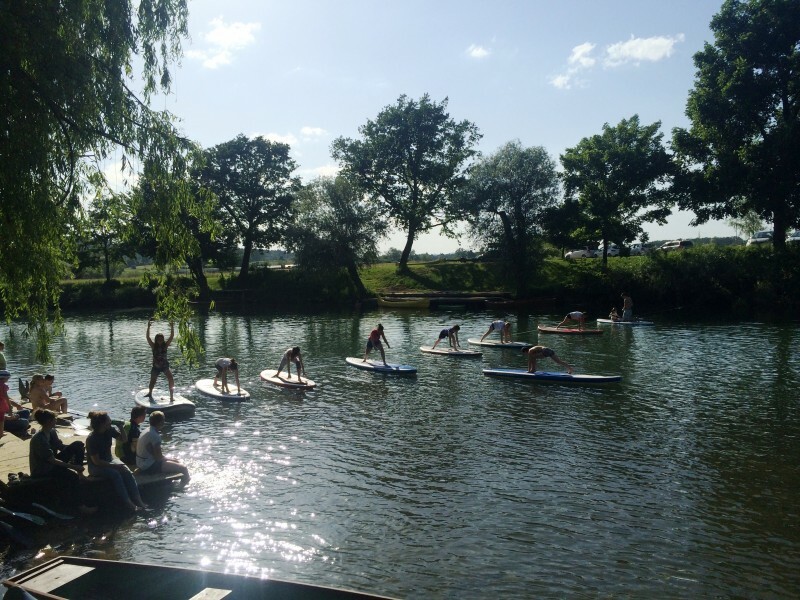 We belive Kostanjevica is the right place to host wooden SUP. 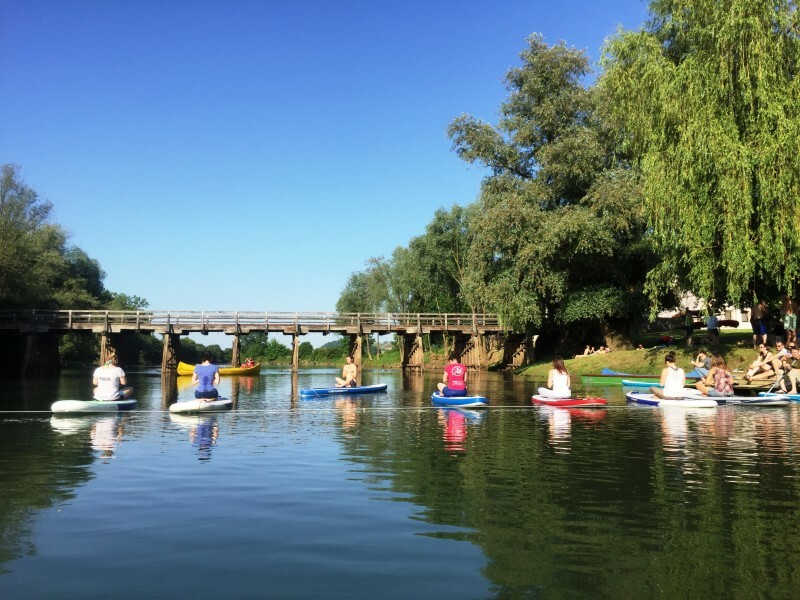 Here is home of Krakov and Gorjanci forest, among the wooden sculptures of artist all over the world and wooden bridges that connect the town to the mainland.